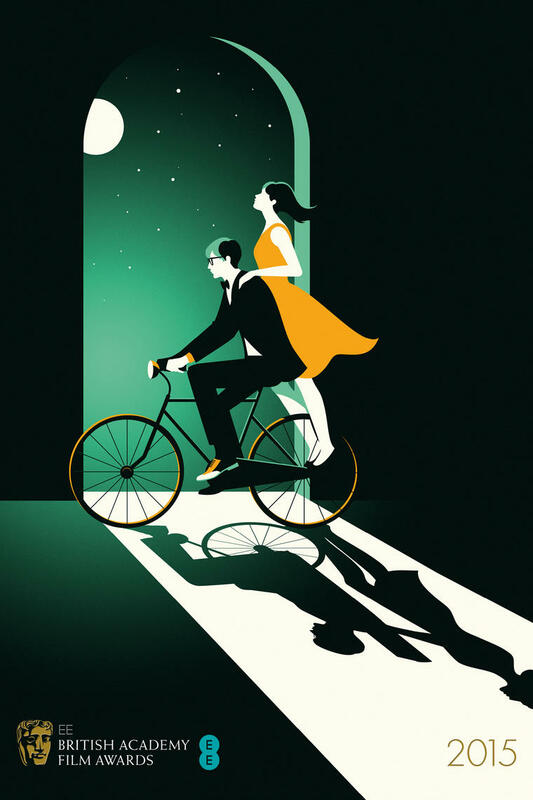 The BAFTA's 2015 sees a slick design overhaul with posters and brochure covers created by the talented and ever-GFY-fave, Malika Favre. Working closely with the guys at London creative agency Human Afterall, the team have created a beautiful new look for the Awards with artwork created for some of the films in the running for awards, including our favourites above for The Imitation Game, The Grand Budapest Hotel and The Theory of Everything. And for a short time only you can buy a limited edition print here. Get on it.